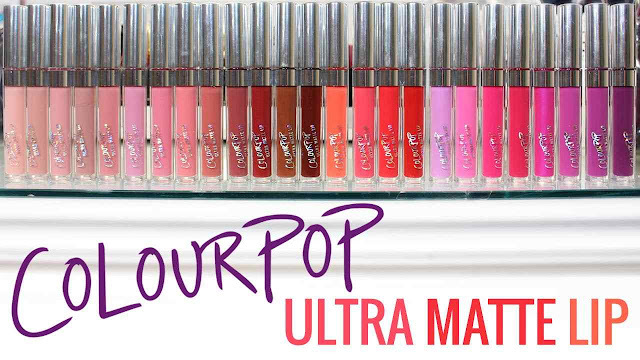 ColourPop Ultra Matte Lip Collection BACK IN STOCK!!! They said they'd restock the first week of August but in true ColourPop fashion that meant earlier, which happens to be the last week of July. Thankfully though these are permanent and even if they do sell out again they will restock. They are made in house and ColourPop made sure they waited to have a huge stock available of all shades before relaunching these. The good news is I placed my order and even took my sweet time as I didn't quite have my list set yet but nothing sold out. Everything went into my cart without any issues and I easily checked out. I urge you to look at the reviews and google for more because there are plenty of hits and misses among these. That $6 price tag is very tempting to just order all 25 but you'll just be upset later. Also if you didn't get a chance to order the first time it's good to place a small order to try the formula out first. I ordered six and there were maybe one or two more I was tempted to get but I'll wait. I suggest the primer as well because everyone says these are very drying plus it'll help with those shades that apply unevenly or flake as well. Don't forget to use the code THANKSBABE for $5 off your order for new customers. Shop the collection here! For swatches of all 25 shades on different skin tones, view my original post here.